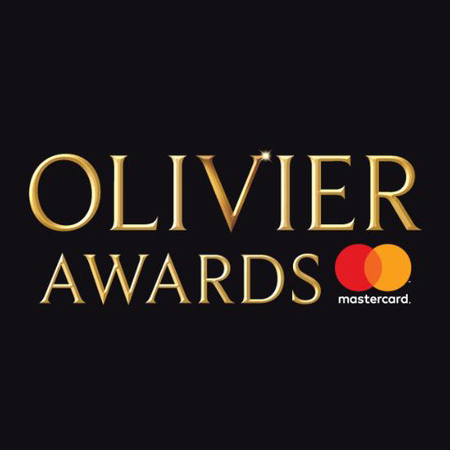 The nominees for the Olivier Awards 2019 were announced today (Tuesday 5 March), with numerous NHB-published shows and authors making the shortlists. Leading the way was Company, which received nine nominations – the joint-most of any show at this year's Awards. Categories include Best Musical Revival and Best Director (Marianne Elliott), plus numerous other acting, choreography and technical awards. The acclaimed, gender-swapped production of George Furth and Stephen Sondheim's landmark musical, starring Rosalie Craig as a reimagined 'Bobbie', is currently running at the Gielgud Theatre until 30 March. Also up for Best Musical Revival is Caroline, or Change, one of its three nominations. This production of Tony Kushner and Jeanine Tesori's extraordinary musical was first seen at Chichester Festival Theatre, before transferring to Hampstead Theatre, London, and the Playhouse Theatre in the West End. Caroline, or Change previously won Best New Musical at the Olivier Awards in 2006. Sweat by Lynn Nottage is shortlisted for Best New Play. This powerful, topical portrait of the present and poignant decline of the American Dream, which won the 2017 Pulitzer Prize for Drama, received its UK premiere at the Donmar Warehouse in December 2018. It transfers to the Gielgud Theatre in June. Arinzé Kene is personally nominated for two awards for his show Misty: Best New Play and Best Actor. An epic, lyrical journey through the pulsating heart and underground soul of inner-city London, Misty premiered at the Bush Theatre in March 2018, before transferring to Trafalgar Studios in September. Natasha Gordon's play Nine Night is shortlisted for Best New Comedy, one of its two nominations. First seen at the National Theatre in April before transferring to Trafalgar Studios in December, Natasha's touching and very funny exploration of the rituals of family has already won her Most Promising Playwright at the Evening Standard and Critics' Circle Awards. Elsewhere, The Wider Earth by David Morton – which dramatises Charles Darwin's voyage on the HMS Beagle – is nominated for the Best Entertainment & Family Award, and Elliot Warren's vivid and fast-paced Flesh and Bone is up for Outstanding Achievement in Affiliate Theatre. The winners of the Olivier Awards 2019 will be announced at a ceremony at the Royal Albert Hall on Sunday 7 April. For the full list of nominees, visit their website.